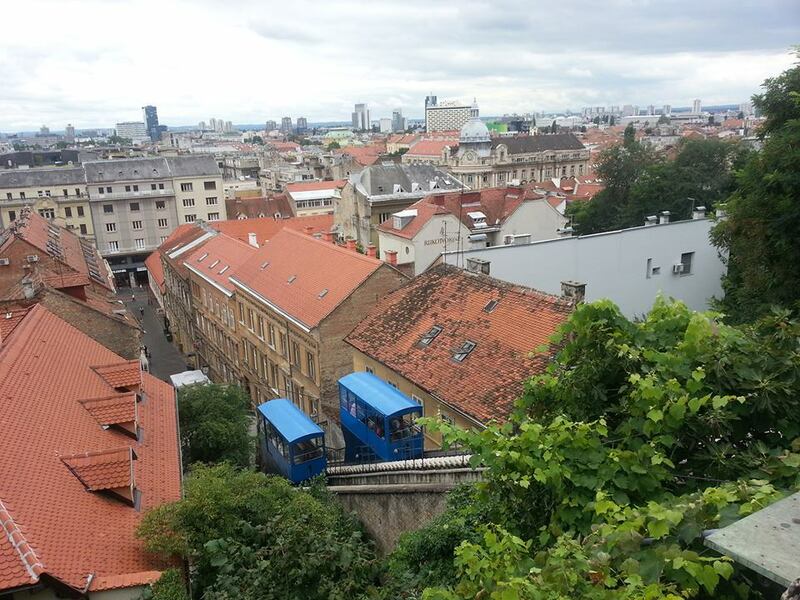 At the end of Tomićeva Street and just a few steps from Ilica street is situated Zagreb funicular. The funicular was built in 1890 and has been in operation since April 23, 1893. Initially it had steam engines, which were substituted with electrical engines in 1934. Having in mind that it kept its original shape, constructional and most of the technical properties, it was given legal protection as a monument of culture. 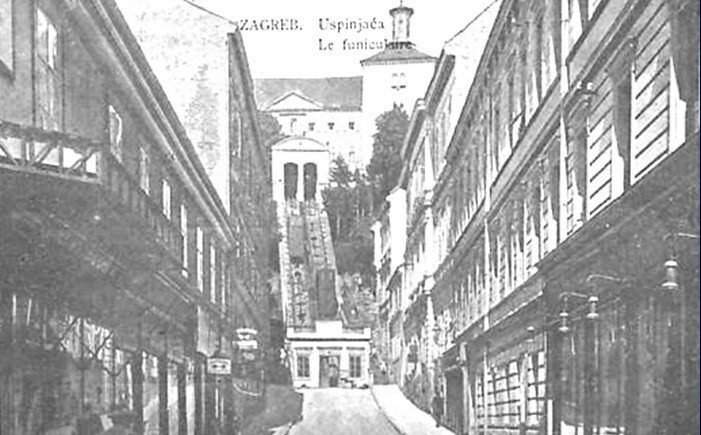 D.W. Klein, a contractor from Osijek, presented the idea for Zagreb’s funicular to the city council in year 1889. 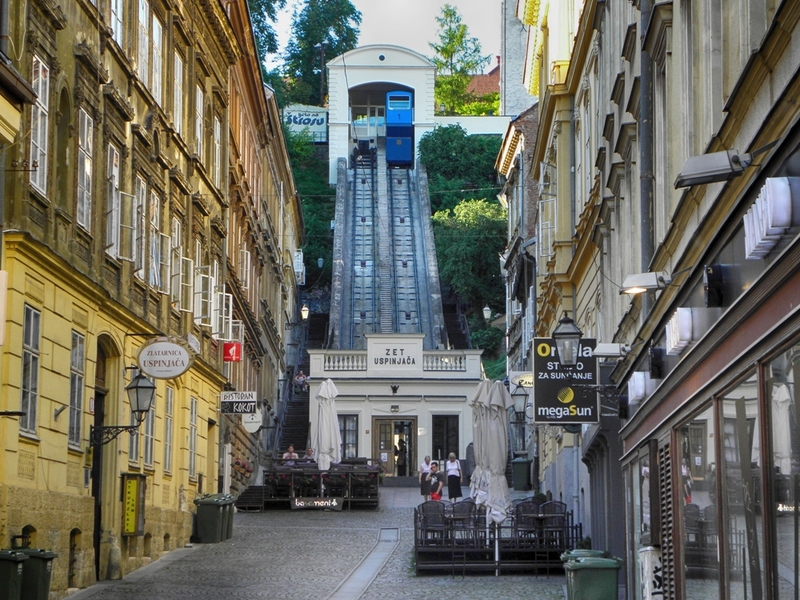 Inspired by the funiculars in other European cities, Klein counted passersby climbing the wide, wooden stairs on Bregovita Street (now Tomićeva street) to confirm that it was the busiest path between Zagreb’s Upper and Lower Town. So on October 8, 1890, the Zagreb funicular embarked on her maiden voyage. The funicular frequently broke down in next two years so it was supposed to be reconstructed, but somehow it kept running for the next 38 years! During that time, the two cabins were divided into the first and second-class sections, and the first-class section was reserved for Zagreb’s elite citizens only. When Klein’s rights to the funicular expired in 1929, Zagreb funicular was handed over to the „ZET“ – Zagreb Electric Tram. In the the years that followed „ZET“ has renovated the cabins and tracks, and in 1934, replaced the steam engine with an electrical system. Throughout the 1960s, the funicular transported approximately 55.000 passengers per year. In 1969, Zagreb funicular was in need of extensive renovations, so it was shut down and remained out of order till year 1973 when construction work finally began. In 1974 the newly refurbished funicular was opened and the stations were rebuilt and, apart from a few modern improvements, they remained exact reproductions of the originals. The original engine components were given to Zagreb’s Technical Museum. 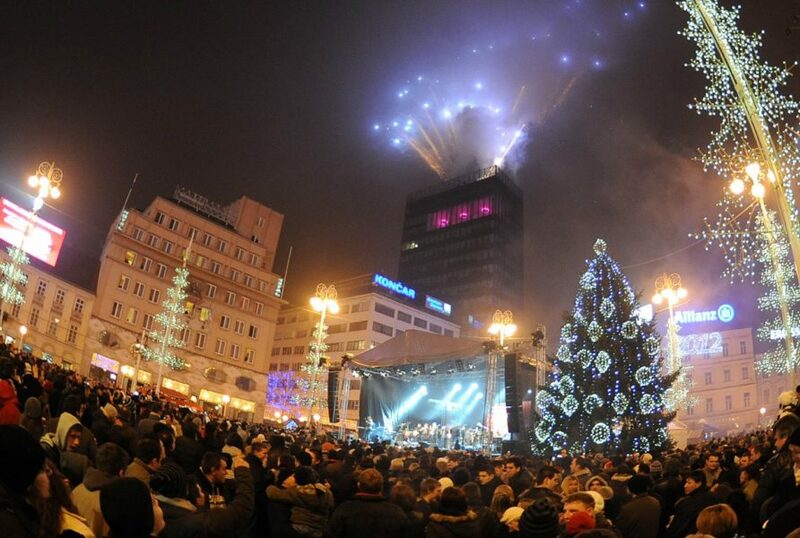 Zagreb funicular is holding several world records! It happens to be the safest public transportation system in the world, since no passengers have been injured while riding it in over a century. 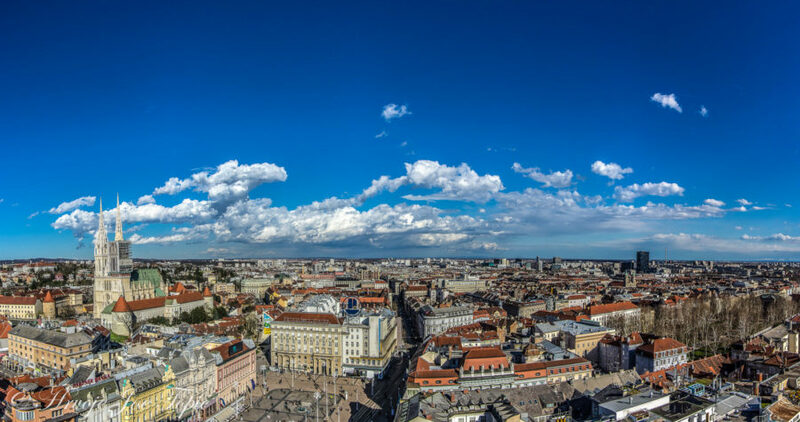 Also, it´s Zagreb’s oldest organized public transportation system and with 66 meters in distance it’s the shortest funicular in the world! The trip lasts only 64 seconds, but despite this it’s a fun ride and an efficient way to reach the Upper Town. 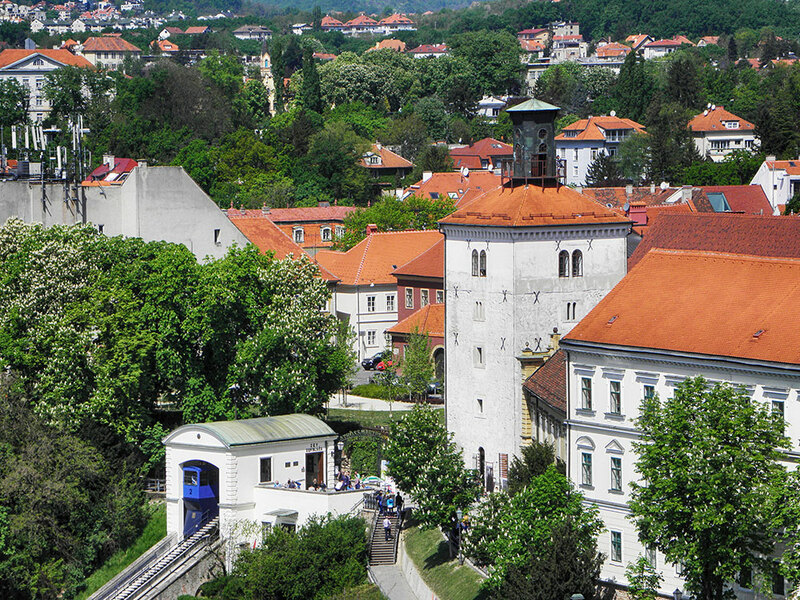 The Zagreb funicular is equipped with a hydraulic lift platform and an access ramp, so it’s a great option for visitors who can’t climb the stairs. The funicular actually keeps itself pretty busy. It departs every ten minutes, for seven days in a week, from 6:30 a.m. until 10:00 p.m. and transports around 750.000 passengers annually. 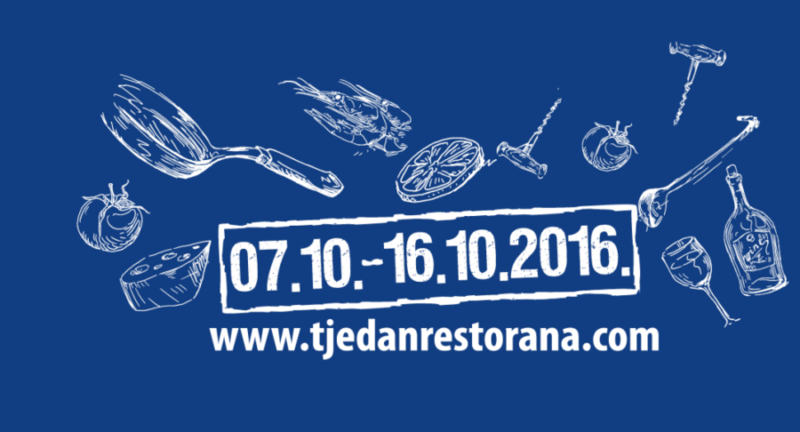 For a one-way ticket price is just 4,00 HRK (0.53 €), and If you want, you can ask for an immediate departure by paying 20 HRK (2,63 €). At the top, Upper Town awaits you. 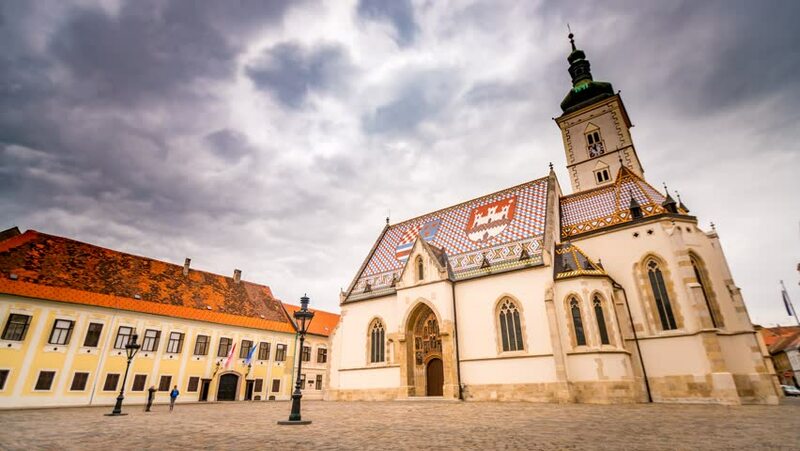 This charming neighborhood, originally one of the two medieval towns that merged to create modern Zagreb, is home to the Museum of Broken Relationships, Restaurant Didov San and Zagreb’s oldest café Pod starim krovovima which was opened in year 1830. The funicular will drop you off right in front of Lotršćak Tower – a medieval defense tower built in the 13th century where you can climb to the top of it for stunning view on the city.